It’s been three weeks since Apple announced News+, an ambitious service that offers hundreds of magazines and a handful of newspaper subscriptions for $10 (£7.60) a month. This is the first of two major new paid services Apple plans to launch this year, as part of a major effort to revitalise its business in the face of flagging iPhone sales. Unfortunately, Apple News+ doesn’t work very well. Parts of it don’t work at all. I’ve been using Apple News+ daily since it launched in the US on March 25 – a UK launch is planned for later this year – and it hasn’t been easy. Right now, the service feels half-baked, and using it is full of frustrations. 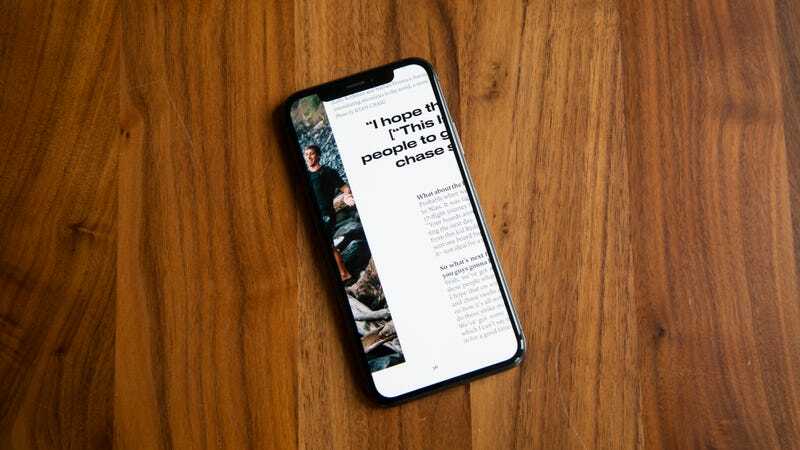 These include struggles with browsing content from the new Apple News+ partners as well as major problems reading that content, some of which is nothing more than PDFs of magazine pages that don’t display well on small screens. What’s more frustrating is that the paid Apple News+ subscription does not appear to give you full digital access to all of the participating publications. You’re mostly allowed to read the stories that appear in the print editions. There are parts of Apple News+, like family sharing, that currently do not work as advertised. According to Apple Support, your family “automatically has access to Apple News+ after you subscribe”. This wasn’t my experience. When I subscribed, my other family members didn’t immediately get access. It took several phone calls to Apple before I was told that turning on “Purchase Sharing” is the only way to give up to six of my family members Apple News+ privileges. 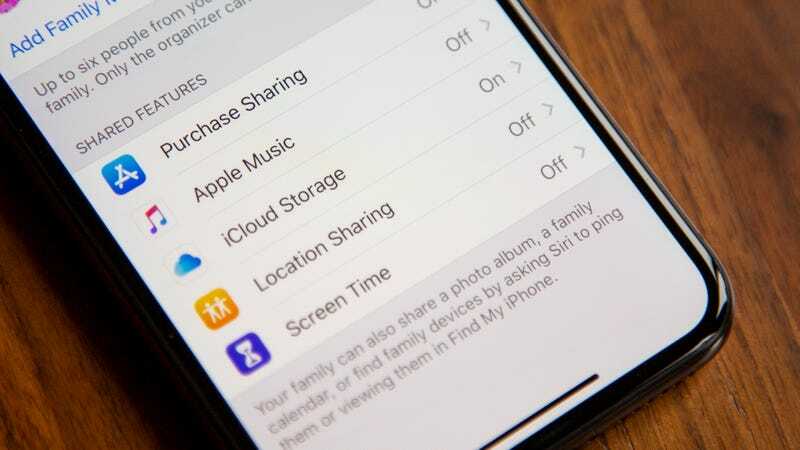 However, enabling purchase sharing also means that my family members can access my App Store and iTunes purchases. It even means that they can make purchases with my credit card. I ultimately had to agree to all of this, because for now, enabling purchase sharing is the only way to share my Apple News+ subscription with my family members. This is a disappointment because, at face value, Apple News+ seems like a great deal. 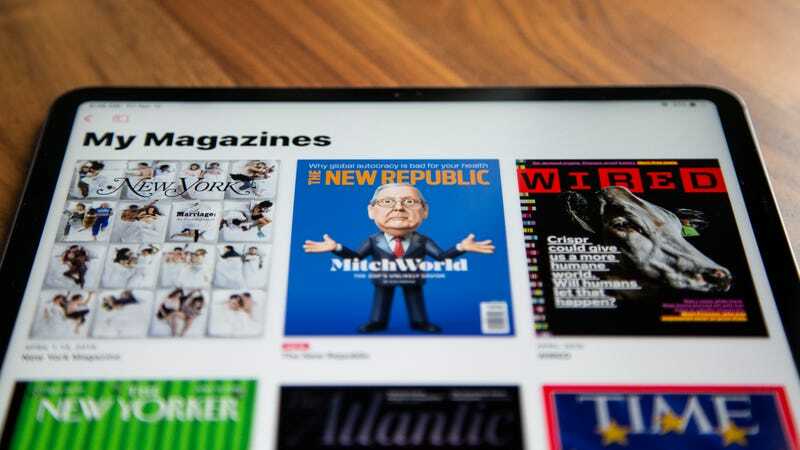 The service offers access to over 300 magazine subscriptions, including full issues from big titles like The New Yorker, Vanity Fair, GQ, The Atlantic, Wired, New York and Scientific American. On top of that, subscribers get several newspapers, including The Wall Street Journal and The Los Angeles Times. (The New York Times and The Washington Post opted not to participate in Apple News+, although you can still find some articles from those papers in the regular Apple News feed). If you like to read longform journalism alongside financial news for not much money, this probably sounds like quite the bargain. After all, it costs $90 a year (£69) for a digital subscription to The New Yorker alone. The thing is, an Apple News+ subscription is not the same as subscribing to each of the individual publications that it includes. Again, you don’t necessarily get full access to all of the digital content from these publications. If there’s a Wired article that appears online and not in the magazine, there’s a chance you can’t read it on Apple News+. It’s up to individual publications to decide how much of their digital-only content goes on Apple News+. If you do have access to this digital-only content, you’ll probably have a hell of a time finding it. That’s because Apple News+ is largely organised around digital versions of magazine issues. When you go to look at a magazine, you’ll see a digital version of any given issue – but not all the issues. Most of the magazines on Apple News+ only go back about a year, which is when Apple acquired a digital magazine subscription service called Texture. Back issues of other publications only go back about six months. The magazine experience on Apple News+ is just a modified version of what Texture offered. 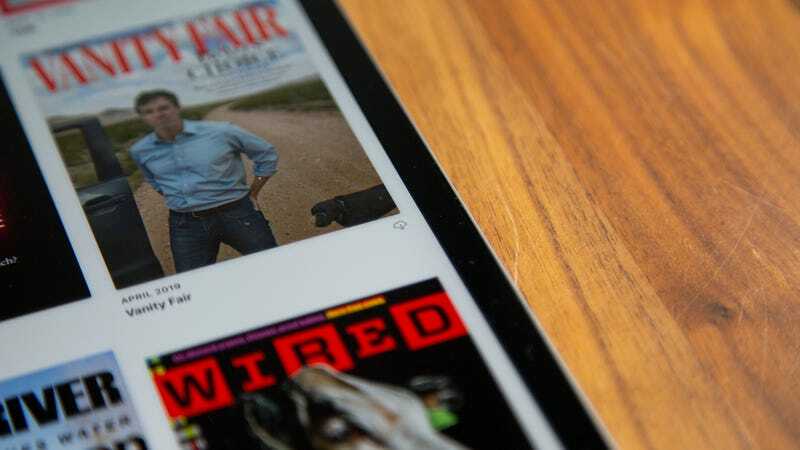 Some of the big-name publications like Vanity Fair and others from Condé Nast, which helped develop Texture, offer versions of their magazines that are optimized for Apple News+. They look more like webpages than magazine pages, and because they’re specifically coded in the Apple News format, this content is responsive and adjusts to different screen sizes. Other, smaller publications, like Surfer and Guitar World, appear in Apple News+ as nothing more than a series of PDFs you can flip through and zoom in on to read. The PDF-style delivery is utter pants on a small iPhone screen, by the way. It’s almost as if Apple made the News app worse on purpose. I always enjoyed how I could open up the New app and get a curated feed of news stories from good publications. (Apple says it uses human editors to pick the best stories and only delivers content from trusted news publications). Before the software update that introduced Apple News+, the so-called 'Today' feed was never flawless or free from crappy stories, but I did feel like I could get a snapshot of what was happening in the world without having to wade into the treacherous waters of Twitter. For whatever reason, the new Apple News seems worse. The feed seems stacked with content from Apple News+ partners, which means I’m seeing more Wall Street Journal stories and not enough New York Times stories. It’s hard to quantify how the exact mix of stories from News+ partners and free content pulled from feeds has changed, since everybody’s feed is personalised. Apple also hasn’t revealed details about the algorithm that determines what’s in a given users feed. Nevertheless, I don’t enjoy reading the Today feed as much as I used to, but that’s subjective. There are also some more objective aspects of the Apple News+ experience that are undeniably awful. A menu at the top of the News+ tab app, for instance, invites you to look at all the available magazines. You can look at an alphabetical list or browse by topic. It seems Apple tried to recreate the old fashioned newsstand experience, because you’re inclined to find, select and flip through digital issues much like you would grab paper magazines off the shelf at a bookstore. But you can’t directly follow any of the publications from these browsing screens. To do that, you’ll have to open an issue of the magazine, tap the logo on top of the screen to go to the magazine’s landing page and then tap the heart in the upper right-hand corner to follow it. Once you do this, the magazine will appear in your My Magazines feed and you’ll get notifications when new issues come out. Browsing in Apple News+ has a few more quirks, believe it or not. The 'Recent' portion of the My Magazine feed does not show all the magazines you’ve recently viewed but rather magazines you’ve recently followed. The only time you’ll see a magazine that you’re not following in this section is when you’re in the process of reading, and it will appear under a 'Reading Now' header. Downloaded magazines are also hard to find. You can tap a little cloud icon to download the issues on display and view them offline. However, those downloads don’t get saved in an easy-to-find place like My Magazines. You’ll have to track them down by hunting down the magazine in the full list of publications or looking at the 'History' section which is buried at the bottom of the Following tab. Although you can search for topics, channels, and even keywords in stories through the Following tab, there’s no way to search for specific magazines in Apple News+. In addition to the newsstand simulation and My Magazines part of the app, the News+ tab also has a feed that includes some curated sections of stories about topics like 'Movies' or 'Technology'. The feed also features editorial packages built around themes like 'Better Living'. If you just want to read everything available from your favourite magazine, it is technically possible to find your way to that publication’s landing page from this feed. Similar to the process explained above, you have to find an article from that publication in the feed or a given issue, tap through to the article page, tap again on the publication name and then you’ll find yourself on the publication page. There is no search function beyond the limited offering in the Following tab, and there’s no way to look at all the stories by a given author. There are options to save stories in a common repository but this section is sort of hidden at the bottom of the Following tab, where you can also view your history. So if Apple News+ gives you access to loads of content for a low monthly fee, but that content is very hard to read, what’s the point? I have a wild (and slightly amusing) theory that all this bad design was done on purpose as a concession to the publishers who still have a subscription product to sell. In the runup to the announcement of Apple News+, rumours circulated about the poor terms being offered to buyers. It’s been widely reported that Apple takes about 50 per cent of the News+ subscription money and then splits the rest with publishers based on traffic. 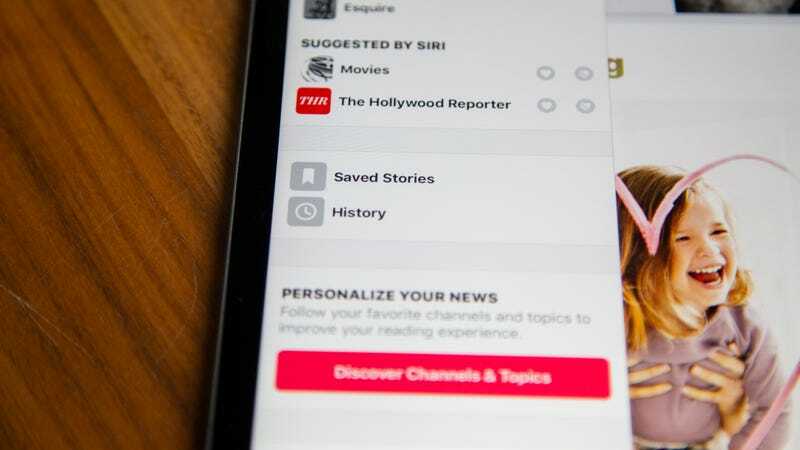 It’s also been reported that Apple won’t share subscriber data that might be useful for news companies and their marketing efforts. These terms are likely what kept publications like The New York Times and The Washington Post from participating in Apple News+. At the same time, the participating publications still have subscription-based of their own that are surely more lucrative than Apple News+. So why would they offer up full access to their content to Apple users for minimal return, when they could keep selling a better product themselves? The big takeaway from my first few days with Apple News+ is that it’s simply incomplete. And in its incompleteness, it’s a terror to use. Apple’s designers are surely capable of improving the browsing experience. Apple’s engineers will probably fix the bugs so that News+ works as advertised. However, it seems very unlikely that reading any given publication on Apple News+ will match the experience of reading it through that publisher’s app or on its website. There’s also no indication that publications will start offering content that doesn’t appear in print editions, since Apple is clearly marketing the magazine options as digital versions of what’s on the newsagent shelves. Some of those versions are optimised for Apple News+. Many are not and, as a result, often unreadable. So at the price you're paying, it shouldn’t be a surprise that Apple News+ feels like a bargain basement experience. That’s exactly what it is. That doesn’t mean you won’t like Apple News+. If you’re someone who does buy issues of the participating magazines at the newsagent, you might think it’s a great deal. The service does offer access to a whole lot of great stuff for a reasonable $120 a year. That’s roughly the price of 13 New Yorker magazines on the shelves. So if you’re okay with abandoning paper and reading things one issue at a time and maybe always being a little bit confused using the app, you might love Apple News+. It’s at least worth checking out the free one-month trial when the service becomes available in the UK. Maybe wait for your next holiday and read your heart out. Just don’t forget to cancel.